With 2.7 million sq ft of Completed / under construction area & 2.5 million sq ft of upcoming development, Vertex group has quietly evolved into the Hyderabad’s premier builders and developers of residential and commercial property. 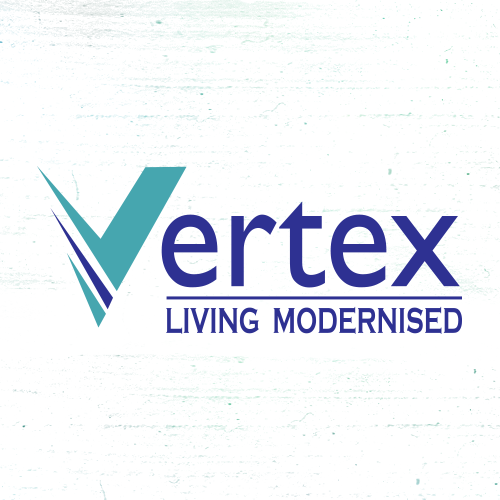 With the focus of “Modern Living", Vertex Homes facilitate our customers with impeccable lifestyle ensuring the highest standard of International living. With a clear vision of providing the best, the group is in the process of developing mega townships & gated communities which includes luxury apartments and residential enclaves. Vertex Group is the name instantly identified with Hyderabad, the city in which we are headquartered. The group enjoys the reputation of having thousands of satisfied clients who vouch for our professional approach, quality construction and value for investment. Incorporated in 1999, the group holds a reputation of premier real estate company in hyderabad with bigger and more challenging projects added every year. Over the years, the group is actively involved in constructing world class habitat accompanied by the host of modern features and amenities. With a clear vision of providing the best, we are in the process of developing mega townships & gated communities which include luxury apartments and residential enclaves. Focusing equally on building up of Malls & Multiplex, we have raised the name in terms of commercial construction. At any given point the group will have a range of projects that are in various stages of conception and creation.